Ga Ensemble theatre’s 20 year anniversary! Discounted Ticket Sales For GET Patrons to The Nutcracker End Sunday! For the special price of $20, you can get prime center seating for select performances of this holiday favorite from Roswell Dance Theatre, The Nutcracker. The holidays are fast approaching, and so is the deadline to get these discounted tickets! Roswell Dance Theatre joins Georgia Ensemble Theatre’s 20th Anniversary celebration by reserving prime center seating for select performances of THE NUTCRACKER just for our patrons! You don’t want to miss this annual tradition that is always a sell-out, so get a leap on the holiday season by getting your tickets today! $20 Tickets Available through Sunday, September 30th. After that time, regular ticket prices will apply. 770-641-1260 to Reserve Your Tickets Today or purchase them here! The cast of GET’s 2003 production: Elizabeth Wells Berkes, Patty Mosley, Judy Fitzgerald and Cynthia Collins. Photo by Haigwood Studios. A Fun Holiday Show of 1950’s Pop Classics. 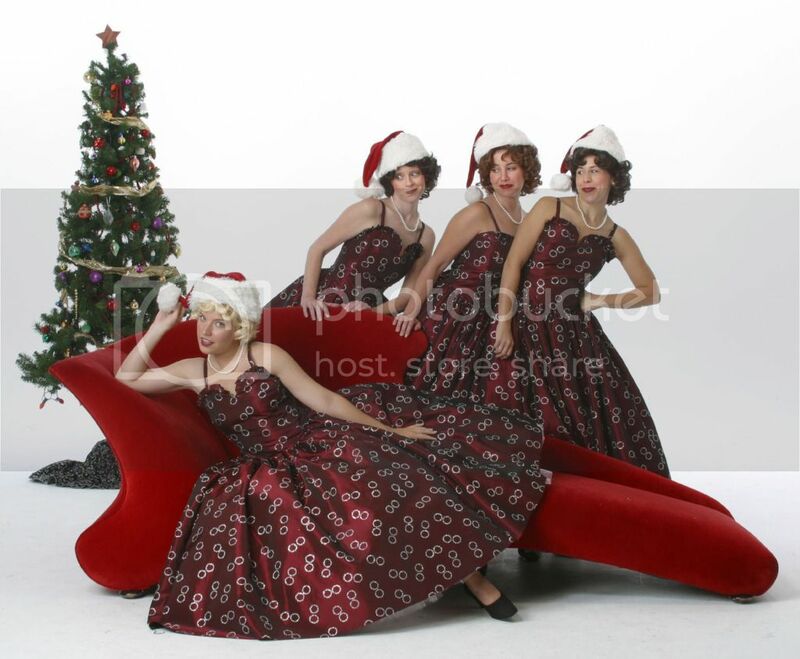 Donna, Kaye, Peggy and Cheryl are returning to their hometown for a Christmas performance of pop classics and newly discovered rock and roll holiday songs that will have you singing right along with this high energy 1950’s girl harmony group. This show played to sold-out houses here at GET ten years ago, and has been one of our most requested shows in recent years. Already a subscriber? Make sure you get extra tickets for your holiday guests now before we sell out! This year’s production features: Laura Floyd, Kara Noel Harrington, Caleigh Allen and Galen Crawley, and will be directed by Ricardo Aponte. Live at the Roswell Cultural Arts Center! There are still slots available for this fall’s Saturday Workshop Series, starting this Saturday! Saturday classes available for Pre-school through seventh grade. Monday night classes for high school and adult students still available as well. Contact GET at 770-641-1260 ext. 232 to register. For more information, visit www.get.org.